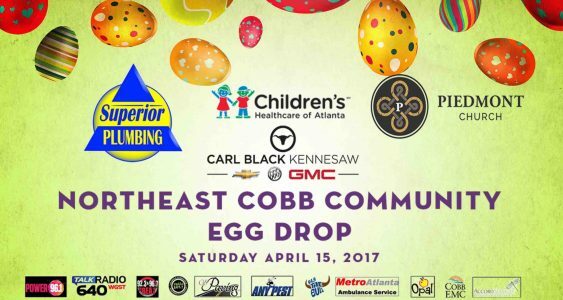 Bring the whole family out for the Annual Northeast Cobb Community Egg Drop and get ready as more than 100,000 eggs and pieces of candy are spread out and dropped from a helicopter at the football fields at Sprayberry High School! The event begins at 10 am, and in addition to gathering up all the eggs, there will be candy, face painting, and Kids Zone with inflatable slides and bounce houses for the toddlers and the older thrill seekers alike. Also plan to have your photo taken with the Easter Bunny and capture the memories for a lifetime! Free admission and ample free parking will be available at Sprayberry High School. Food will also be available to purchase and the proceeds help benefit Sprayberry Booster Club.